Oracle retired the license for using their Java on GNU/Linux! My first thought was, that after the attack on Android and on free software, this is a foreseen step. While OpenJDK is out of the reach from the company, that bought out Sun and now holds the Java-license, it's still questionable if one should use Java again, when developing free software, or own software in general. Just like Android uses Dalvik, and get sued by Oracle after the buy out, it could happen any day, that a Schyster will find a way to construct a case against OpenJDK with some bogus patent-crap. 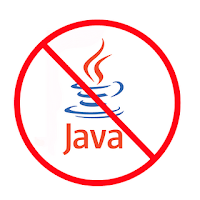 Furthermore I can only warn people to use Java-implementations in their own project. Easily they could get sued after Oracle sees $$$ in a later successful project. I'm not a lawyer. But if you observed that behavior of Oracle, you don't need to be one, to understand, that it's not a good idea for open-minded people and free software projects to use a programming language that is owned by such a company. For me, this is the dead of Java, and I will remove all Java-packages from my distributions. Oh wait, I've already done that after the Android debacle.